An interior designer is a person who specializes in designing customized stuff for his / her customers. There are different stages of interior designing and most probably these stages of interior designing creates an effect where all the interested candidates try to excel in the matters of creative imagination. There are some things that an interior designers are educated to deliver their services and they are. Interior designers get their projects in an auction on new projects. They may also get projects for renovation. The designer has many things to do, he/she will see that the project is completed within the committed budget. He/ she should consider factors like quality, safety and beauty. One should be able to enhance creativity in choosing furniture and designing, decorating with different kinds of colors, also lighting work, doors, kitchen so that one should be able to meet customer requirements and standards. For workspaces, they will consider all the comforts of employees and design their area. Firstly, as soon as the designers are assigned to a new project, he/she will analyze the objectives of the client. One will visit the site/project area. They consider the surroundings , also the space available and they design the spaces with interesting things. His/her priority is to meet the customer expectations, one will communicate the client about the best interior design and its modifications time to time. They design the project in CAD applications and just imagine how it will look, so that he/she can make changes accordingly. They follow the print of that project designed in the software. One will design the area with current designs available in the market. They arrange the bill of materials accordingly. They choose different styles of decorative items, furniture, ceiling and also matching colors with walls. They make sure each and every element is captured, including fittings, lights, floor design materials. The designer makes sure that his/her interior design ideas matches with a construction team plan. They will inform the client with all details regarding design, cost and estimated time to complete the project. Until it is handed over to the client, the designer will be responsible for the complete design. One should have a interior designing degree. One should have proper license to be called as an interior designer. Along with the education they must possess experience, only then they can handle the new projects. They also should have innovative ideas in art and zeal for designing. They should be proficient in designing the software and this will help the client to just have a idea about how a design look like and he can make changes accordingly. One should be able to communicate his/her plan to the client successfully. The client should be aware of all the materials utilized to design the project, so that he will not find issue with design after completion. The most important part in interior design job is not only to design and submit it, but also he should be very careful about the environment safety. An interior designer must be educated successfully in quality training. They should meet all the quality standards that are usually required. His/her design should not lead to an uncertain event. So while designing them, one should include space required for safety equipments. Also, he/she may get many opportunities further with their performance in handling a project. One should also be qualified in National council for interior design qualification. This certificate indicates that a person is certified interior professional. This certification is necessary because the candidate must be updated to current standards in order to qualify also, one should know the functional requirements of a design, also able to take care of health requirements while designing. To design the aesthetic work/home space one should have knowledge of all the above details, also possess technical knowledge to create a design and satisfy the client. Also there is a separate qualification required to design kitchen and bathrooms. This course is done from National Kitchen & Bath Association. The candidates must be able to design for kitchen and bathrooms with artistic skills. This specialization in this area has more scope to develop and they can become experts in this field through this course. This is important to show the client that you are expertise in this field especially, unlike a normal interior designer. They do work on special software’s to design their sketches. The interior designer, professional must have the ability to perform different artistic skills. One should have ability to understand the comforts of client and imagine the style of designing. The designer must be able to organize and should take care of the space provided and to design in only particular area with safety measures. The most important factor is, the designer must be able to convey his ideas and modifications to the owner clearly. If the estimation, cost or scheduled time is crossing more than he/she expected, then one should be able to manage it smarter. People have basic interests about designing, decorating, drawing, etc. Persons with these interests can study these courses and become a professional interior designer. Their interests in the arts can make money through this education. Below are the minimum requirements to become an interior designer. One will learn technique, communication, listening skills through these courses. They should also posses analytical skills and presentation skills. They should be able to convince the customer with his work and build confidence in him, that designer can handle his project affectively. If someone chooses an interior designing as a career, he must be able to complete graduation in relevant fields in interior designing and also in computer aided design also called as CAD. He/she can further study by doing masters . So firstly a candidate can choose a college where these programs are part of their academic course. There is an organization called NASAD(National Association of school of art & design) in which 326 institutions are recognized. One can even join through council for interior design accreditation to study interior designing. Even this accreditation program will help students to become professionals who choose to make skilled and authentic spaces. Almost all programs are provided by this council and 20000 students are being educated. This council provides updated education and standards to students. They also provide online education. The growth in this field is likely higher. As the construction of organizations or home happens, they will need designers to be part of it. So it is almost 13% growth as per the survey. In every construction industry, they need an interior designer, so opportunities increase accordingly with construction industries. Not only construction, also for remodeling and renovating spaces they do require interior designer professionals. They also do work for government constructions and corporate institutions. Even the interior designer skills are required for film making. They can collect more revenue through this project. They elevate the beauty of the environment, so an interior designing is the basic requirement in every field. Initially, one can work under an experienced designer to acquire knowledge and also can get paid accordingly. The shops also require the best interior designers to attract the customers and get profited, so there are more opportunities even in this field. Of shopping malls and big theatres they do need interior designers and invest huge money for the environment so that they can make the pleasant surroundings to tempt the customers. In this profession, it is necessary to make the network. This will really help the interior designing business. If the customer is satisfied with designer work, he would recommend for others to take service from the interior designing team who worked for them. It is important to organize and store the projects they have done, so that one can show the new client and help them to build confidence in their work. It is easy to work if once they believe the designer. One should switch for large projects once they have enough experience in small scale projects. There are certain types of job requirement for these interior designers and they can derive out of their creative stream. These creative streams can be different according to their interest, such as home interior designers, professional designers etc. Thus creativity help them excel in their creative streams. Basically the clients who wanted to renovate their houses, they invest highly in the required attractive premises, so the designer as per his performance he/she will be paid with an attractive salary. As per the survey, the average pay scales for designers is Rs 287,217 per annum. The minimum pay for a designer is Rs 97,523. 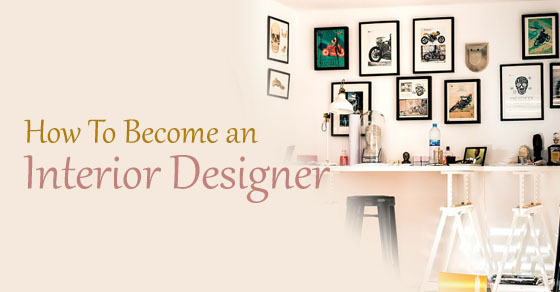 Also ranges to a limit of Rs 499,339 which a designer can draw in this profession. They can also commission of Rs 20000, they do have other profits like bonus up to 50000. It also varies with the different services. This is for Indian professionals. As per experience the pay scale will increase gradually. There is varying little with different cities and countries. Also varies with the services they provide. Here are few peak salaries for highly experienced designers. For interior designers it is around $ 50,000, for artists, it is about $70000-$100,000. For film/art designers are $160,000, for craft makers/artists is $ $60000. For graphic design they earn around $50000. The above are the pay scales for different designers in different cities. Few designers work for full time and also part time, They do earn commission for increasing sales. They will travel different places at times to reach the clients and to explore different creativity. They are assigned with particular deadlines and need to deliver in that period with all the factors and requirements expected by the client. They do business by showing their previous aesthetic designs, as per their creativity and experience they collect the remuneration. A career like interior designing is a field to work with passionate and people love this profession, since they deal with different projects, different places also with new designs in every project. They can earn even when doing the training or they can collect a commission if it is a business, also they can grab high salaries in a job profile. They also work with different technologies to visualize the design and to present the client before they assign the project to the company. They can get opportunity to work in different fields. They even can start their own organization if once they are expertise in this field.